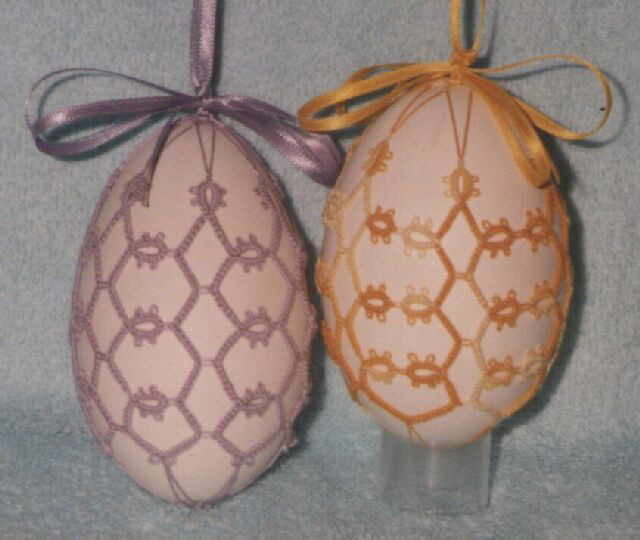 1992 I wanted to make an Easter shrub with tatted eggs. My son Sandro watched for a long while. 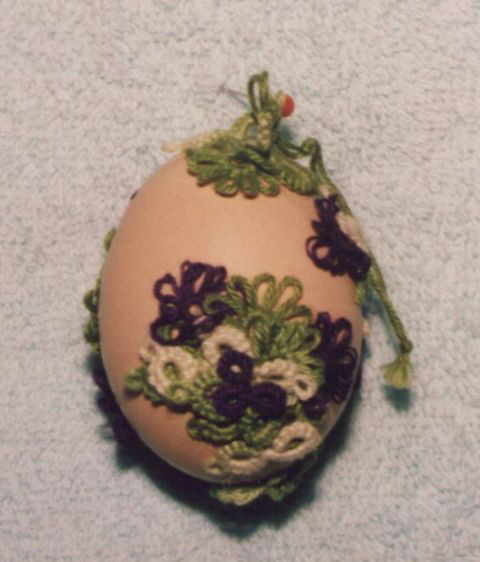 Then he meant that it would look better, when the eggs were many colored as he knew by my embroidery. At last he asked me, if I could make motifs like (for example) hares. A few days I brood over his stimulation, than I began to experiment. The results were very promising and the beginning of my passion for Easter eggs. At last they stock in boxes everywhere in our basement. Some years later I found a book from Helma Siepmann about Creative Tatting. By reading in it I got a lot of new stimulation. Soon I was persuaded by an organizer of Easter markets to show my eggs. I was surprised by the success, so I stayed until 1997. Then I hat to stop by sickness. But I couldn’t rest my hands for a long time and I started again in 2000. Here I want to show some of my parts. To avoid long downloads I use thumbnails. By clicking into the photo or on the text below you can load the original photo. Peduncle on a brown egg. The motif is fixed with adhesive. 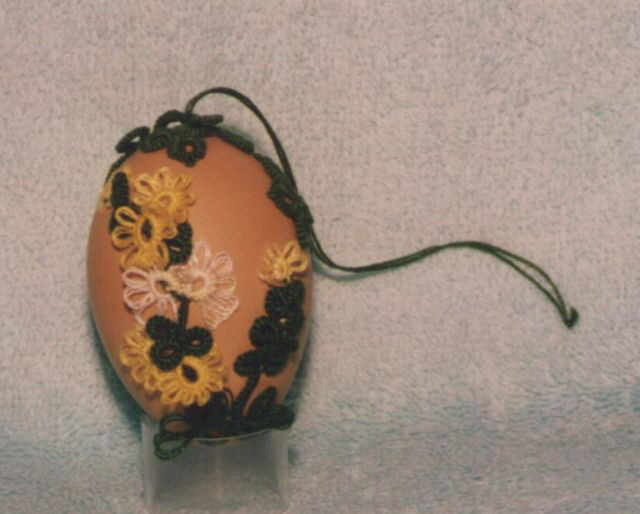 Peduncle in Creative Tatting on a brown egg. 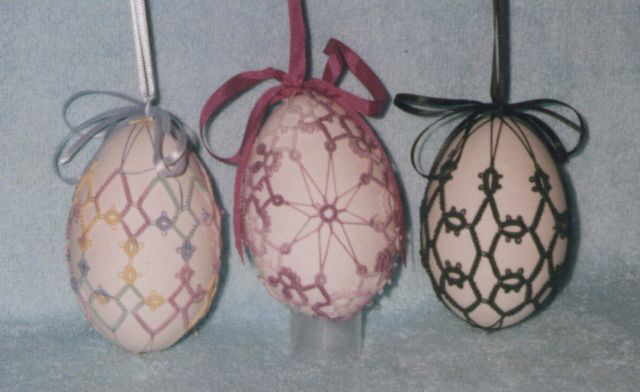 Three goose eggs with stringing of Classical Tatting. 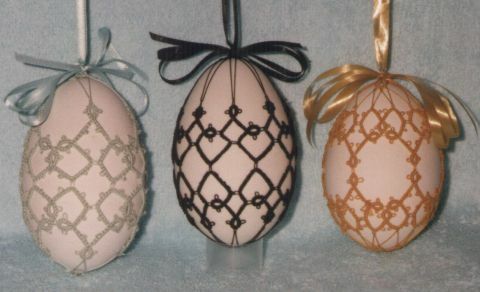 Three more goose eggs with stringing of Classical Tatting. 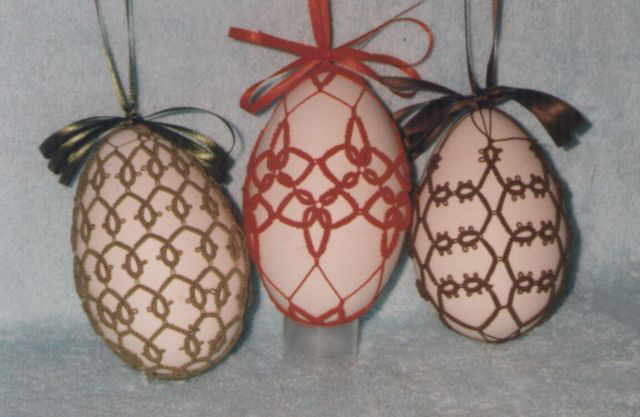 More goose eggs with stringing of Classical Tatting. 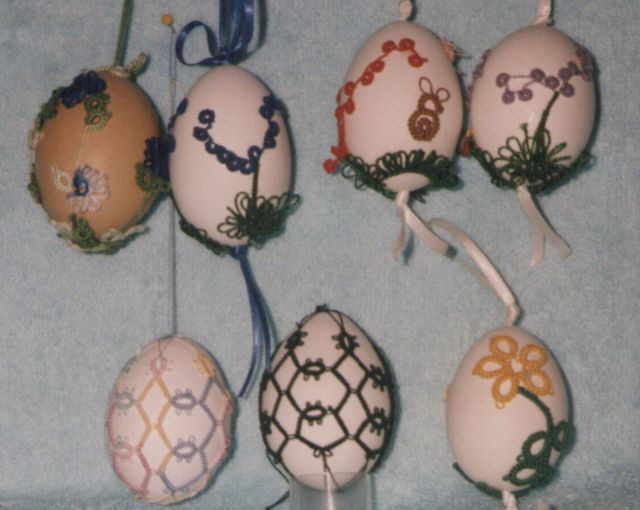 Hen's eggs with motifs of Creative or Classic Tatting.